In a fight between Catwoman and Spiderman, who would win? Each has quite a few merits to earn them the top billing in this particular bracket . . . but first, a victor must emerge. Let us know who wins the knock-out round! Leave a comment so we can tally your votes! Julie Newmar as Catwoman, holding Robin captive. Box 18, Folder 6, William Dozier papers, #6851. UW American Heritage Center. Claim to Fame: She first appeared as a villain in the first Batman comic book in 1940, but has since been softened into sympathetic anti-heroine. 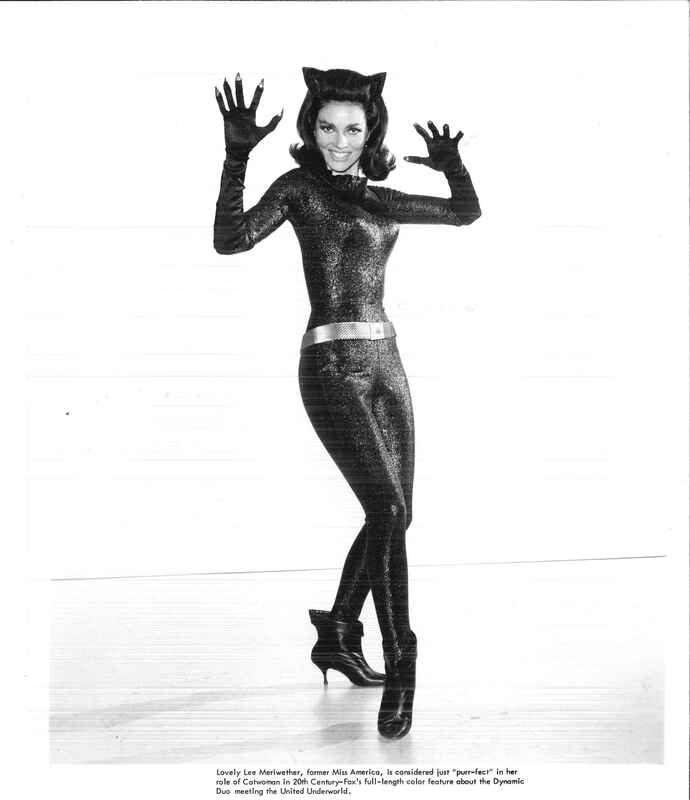 She came to life on the small screen during the 1966-1968 Batman television series, played by Julie Newmar and Eartha Kitt; on the big screen, Lee Meriwether play Catwoman in the first Batman feature film. Lee Meriwether in a promotional photo for the “Batman” TV series. Box 18, Folder 6, William Dozier papers, #6851. UW American Heritage Center. Collection Connection: The AHC has the papers of William Dozier among its holdings—including photographs, scripts, and other materials from the original Batman TV series. 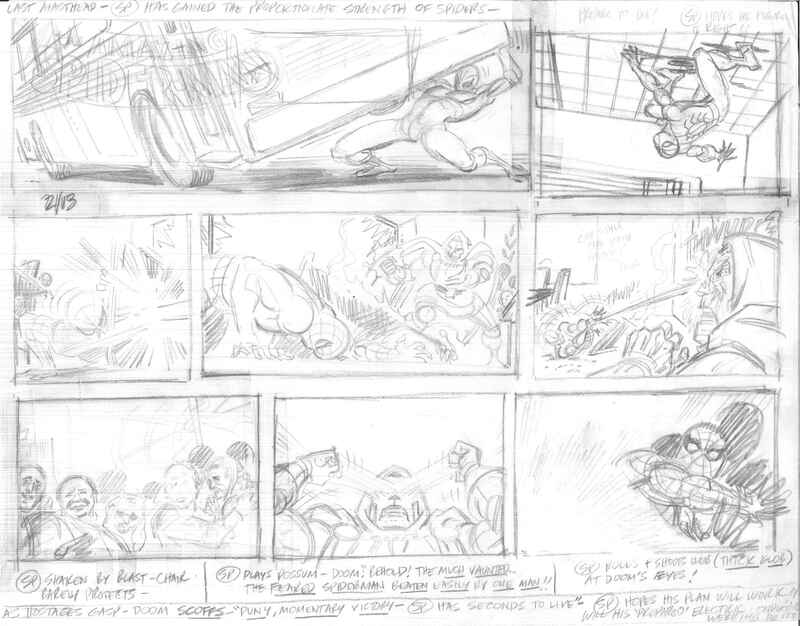 A pencil-drawn sketch from 1977 for the daily “Spiderman” comic strip. Box 57, Folder 11, Stan Lee papers, #8302. UW American Heritage Center. Claim to Fame: A comic book character created by Stan Lee, Spiderman is the heart of Marvel Comics’ roundhouse. Since 1962, Spiderman has delighted comic book fans with his super-strength, his family and romantic relationships,as well as his struggle as Peter Parker to maintain normalcy while trying to protect his identity as Spiderman. 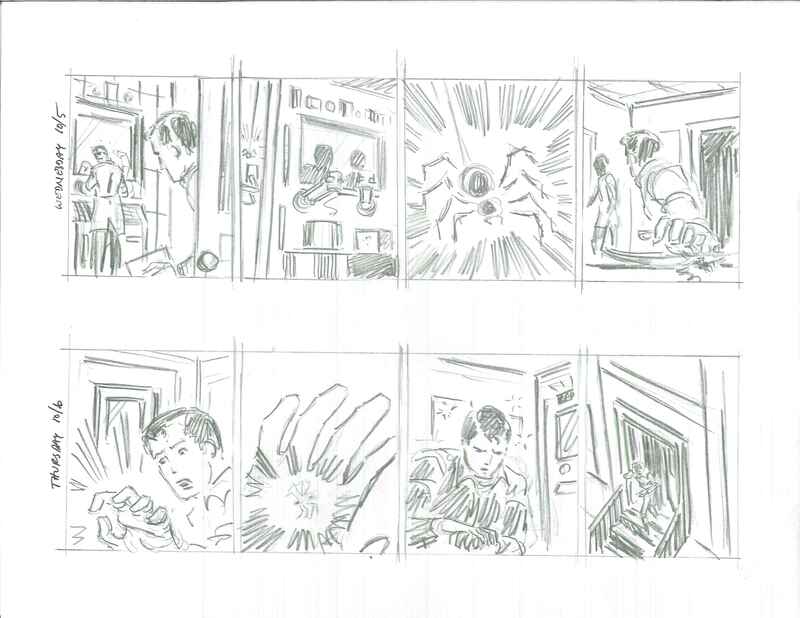 Another pencil-drawn sketch from 1977 for the daily “Spiderman” comic strip–this one highlights some of Spiderman’s special abilities. Box 57, Folder 11, Stan Lee papers, #8302. UW American Heritage Center. Collection Connection: The Stan Lee papers are one of the most heavily used and popular collections at the AHC!